70 incredible (and affordable) locations for your destination wedding in the US and beyond! 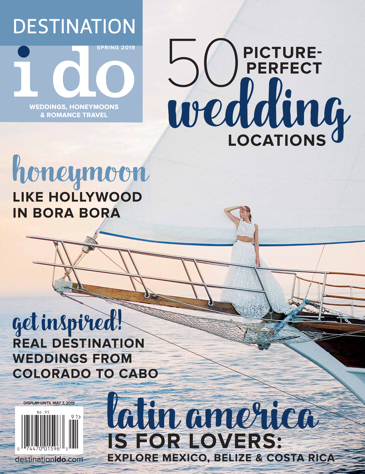 Honeymoon hideaways from Mexico to New York City, style-savvy destination wedding reception and theme ideas, real-life destination weddings from Kylie Bisutti to the CEO of GoDaddy.com (Bob Parsons) and Darryl Tapp! 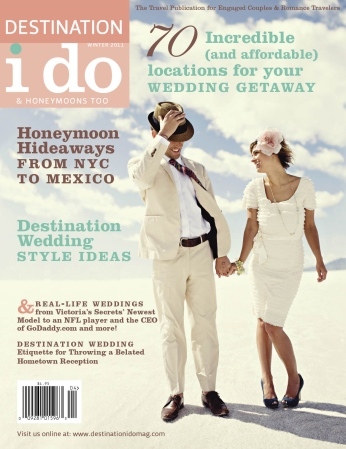 We also cover ideas on how to scout out your location and etiquette for throwing a belated hometown reception. Plus a destination wedding planning timeline and SO much more!